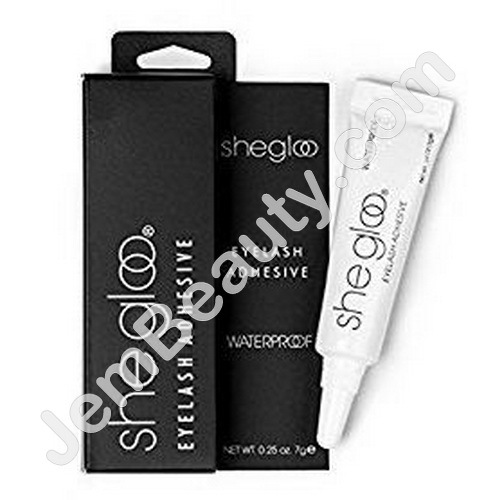 This waterproof lash adhesive has updated its formula to make it suitalbe for sensitive skin and now latex-free. It's easy to apply and dries quickly for a comfortable hold that will last all day. 1. Trim width of false lash to fit your own eye if needed. 2. Holding the lash from each end, flex the lash back and forth in the form of a horse shoe to contour the lash for easy fit. 3. Apply a thin line along the base of lash and set for 20 seconds until sticky. 4. Secure lash starting from the innter corner of your eye and gently press down towards the opposite end. To ensure proper flaw of adhesive, remove any hardened adhesive from tip of tube.